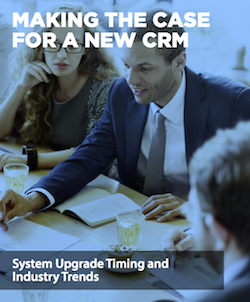 Did you know that having an outdated CRM is just as bad as not having one at all? Do you find yourself working even just a little too hard to make your current CRM work to maintain your contacts and relationships? While it is increasingly more difficult to reduce customer churn, modern CRM tools are much more powerful and provide much more opportunity to develop stronger relationships with your clients that can provide more stability and revenue to your company and bottom line. Don't let an old CRM hamper your business, download and read Making the Case for a New CRM and get to implementing the changes that you need to make!